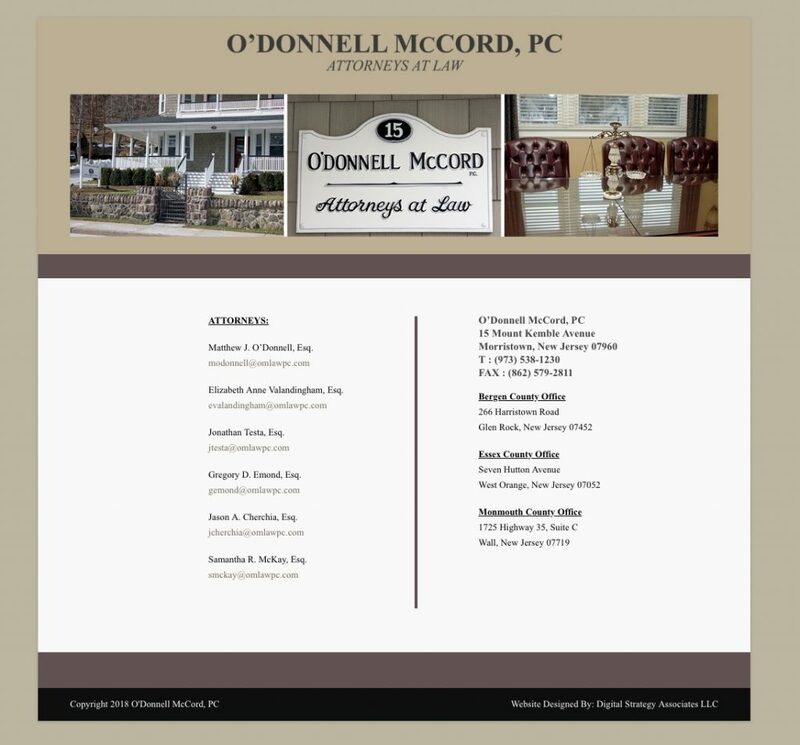 The Law Offices of O’Donnell McCord PC retained Digital Strategy Associates LLC to design a sleek and professional website. With an eye towards expansion, the new WordPress powered website makes additional page creation a breeze. Besides designing the webpage, Digital Strategy Associates also provides the firm with Managed Services and web hosting.